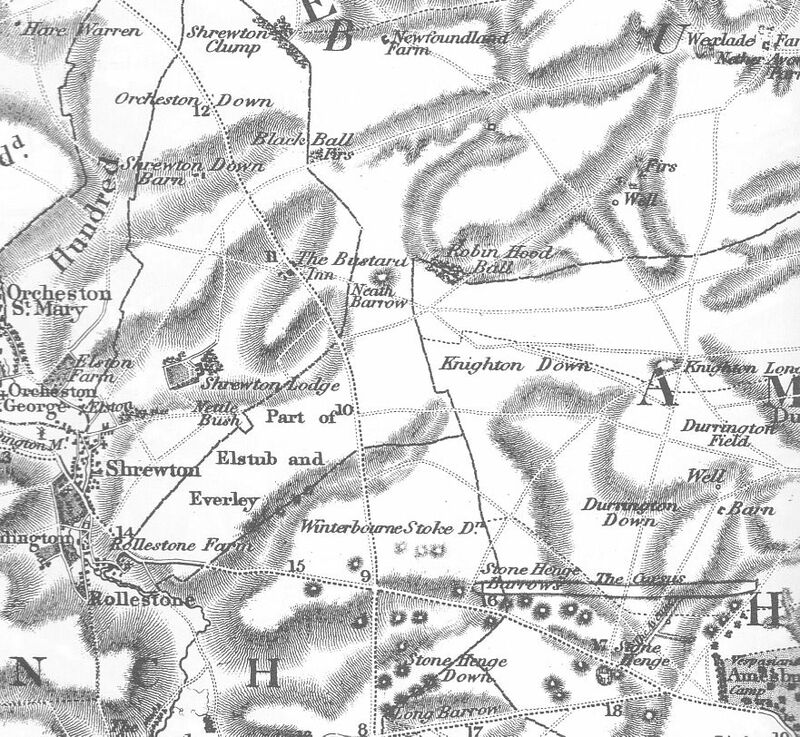 C Greenwood's map of Wiltshire dated 1820 shows"Neath Barrow" close to Robin Hood's Ball on Salisbury Plain. This barrow doesn't show up on any other map I have to hand. Comparing the map to a modern OS map leads me to believe it is actually the Causewayed Enclosure now known as Robin Hood's Ball and maybe an associated tumulus that it is referring to. The name was originally applied to the wood and then transfered to the enclosure. Click on Maps to get larger versions. 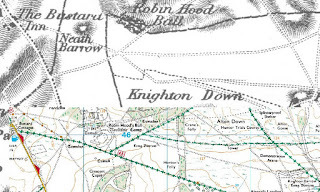 Robin Hood's Ball was the name given to a small circular copse of wood just to the north west of the earthworks. It is probable that over time the name came to be associated with the enclosure instead. 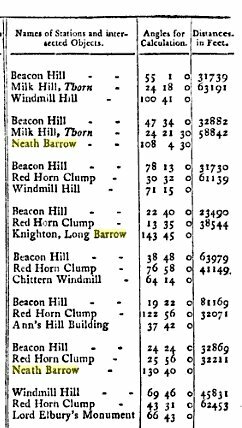 It all points to Neath Barrow being the original name for the enclosure. 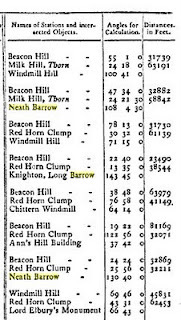 And before Colt Hoare et al dug it over the barrows on the northwest side it may well have been more impressive. 137 miles as Joe the Crow would fly to Stonehenge. Not a hard fact to check but beyond most of the journalists in their pitiable reports this week. CultureLab: Augmented monoliths: Stonehenge goes digital: "Ever wanted to stand at the centre of Stonehenge at summer solstice and appreciate the site’s beauty without the accompaniment of tourists or druids? Well, now you can. A new augmented reality app gives users a unique perspective on England’s famous standing stones. 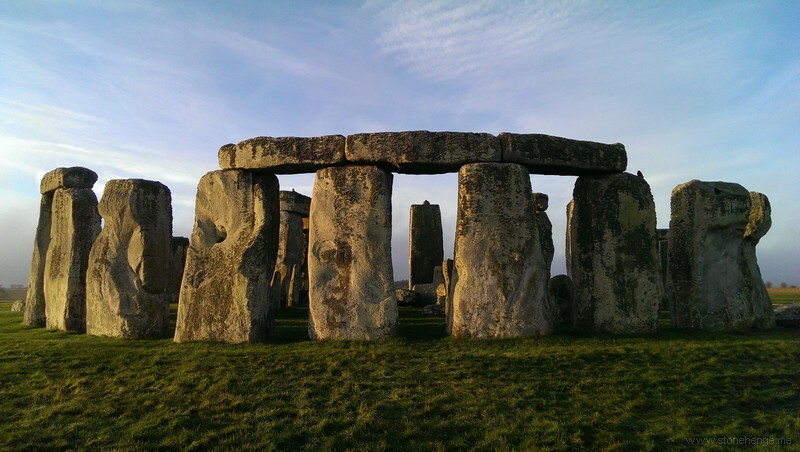 Produced by the University of Huddersfield, UK, and developers Ribui, the Stonehenge Experience iPhone app lets users explore a virtual version of the famous site." Yet, the story progresses. Along the Rhos-y-felin crags, the rhyolites are distinctly different on a scale of metres or tens of metres. This has enabled Bevins and Ixer to match some Stonehenge debitage samples to an even more precise locality at the extreme northeastern end of the area. What this means is that the area is now small enough for archaeologists to excavate to try and uncover evidence for associated human activity so providing another strand of the story of how the stones from Pembrokeshire reached Stonehenge. In addition the level of work carried out at Rhos-y-felin confirms that the four remaining above surface rhyolite and dacite orthostats at Stonehenge do not come from Rhos-y-felin and work is in hand to determine if their source can be identified. The long-running debate about the origin of the Stonehenge “bluestones” and how they got to Salisbury Plain some four millennia ago has taken another turn: a precise quarry source for much of the Stonehenge rock has been pinned down to a few square metres in southwestern Wales. This supports the notion that the bluestones were taken by human agency all the way from Pembrokeshire to Wiltshire, rather than helped along their way in the Ice Age by glacier transport. Three major rock types and two minor ones can be identified within the “bluestone” range using both the entire stones and waste chips known as debitage which result from trimming the slabs on site at Stonehenge. The three major groups, originally thought to be from different geographical sources, can now be shown to be from the same locale. The area of the new find lies at Pont Saeson on the northern flank of the Preseli Mountains, long known as the general source of the bluestones, some 6.5 kilometres (four miles) from Newport in north Pembrokeshire. The discovery follows the use of zircons included in the rocks to identify an area near Pont Saeson as one likely source of Stonehenge material by Dr Ixer and his colleague Dr Richard Bevins of the National Museum of Wales. “Almost all — 99.9 per cent — of the Stonehenge rhyolitic ‘debitage’ can be petrographically matched to rhyolitic rocks found within a few hundred square metres at Pont Saeson and especially to those found at Craig Rhosyfelin. “However, it is possible in a few cases, where the petrography of these Welsh in situ rocks is so distinctive, to suggest an even finer provenance to within square metres, namely to individual outcrops,” Ixer and Bevins report in Archaeology in Wales. The outcrop itself is some 70 metres long and has many tall, narrow slabs up to two metres (6.5 feet) high as the dominant feature, splitting off from the parent rock and reminiscent of the Stonehenge bluestones. One of the Stonehenge shafts, known as SH32e, can be matched very closely to this outcrop, and must have been quarried there, not transported by a glacier. 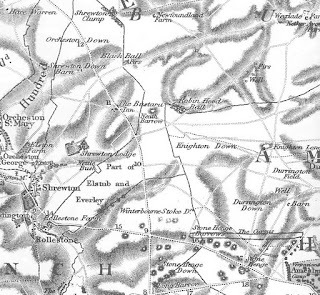 The dispute over natural versus human transportation for these elements of an early and important phase of Stonehenge now seems to be settled —as Ixer says, the glacial theory is out cold. 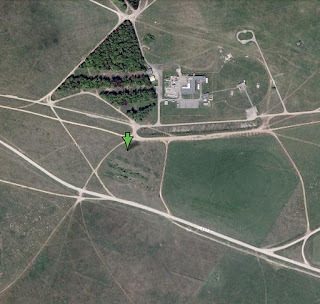 Recent Analytical survey and investigation in the World Heritage Site, by David Field." This is a repeat of the lecture I went to yesterday - highly recommended if you can make it. Winter Solstice Sunrise alignment at Stonehenge: "there is a deliberate Winter Solstice Sunrise alignment through Stonehenge, making use of a notch in Stone 58 to target a position on Coneybury Ridge where the sun rose in 2500BC." Impressive find - I'll be there on the morning to try and see it.